Atlanta, GA: The youth generation is a promising group of individuals. We students, with our creativity and dedication along with the help of our elders, can work together to improve the conditions of the world. There are many issues facing us today from diseases to poverty to animal rights. My name is Shivika Bhayana and this our story of how a group of passionate students have made a difference in the world. On October 18th, a few high school students including me hosted of the most rewarding events of our lives: Run for SEWA. This 5k run successfully raised awareness for animal rights and money for the Sacred Cows Sanctuary. We have been involved with SEWA (Selfless Efforts for Welfare of All) for the past few years. The most admirable quality of this organization is the opportunities it endows onto the youth generation. From volunteering at SEWA’s Swami Vivekananda Laser Show to being an intern at SEWA’s Get Inspired Program, we have always been granted great trust and responsibility. We have been treated like an equal volunteer regardless of the fact we are working with many adults. In addition, SEWA truly foster skills of leadership in every single project. When we approached SEWA to host a youth-organized 5k run project, It was exciting experience to get an approval from SEWA. 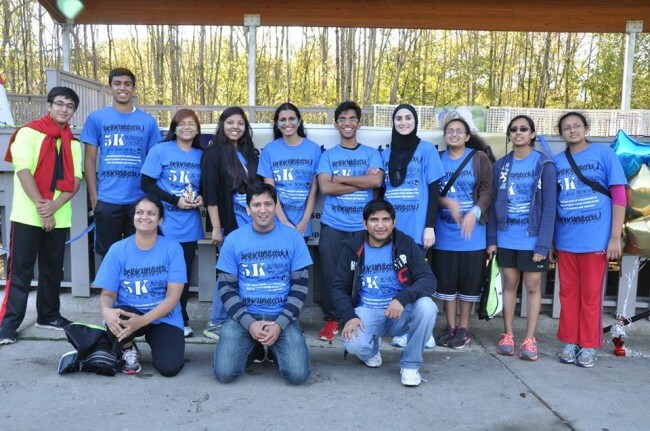 We began planning Run for SEWA in April of 2014, gathered a group of student volunteers and through the next few months we worked on venue, the cause, and promotion. Originally we had decided to raise money for poor children’s healthcare and education, but the SEWA team asked me to come up with a more local cause. Thus, we picked Sacred Cows Sanctuary. This safe haven for cows located inGeorgiawas very dear to our hearts as many of us practice vegetarianism or are animal lovers. As time progressed, many students dropped out of the planning committee and many others joined. This project was time consuming, but we can confidently say that we learned something new every minute. 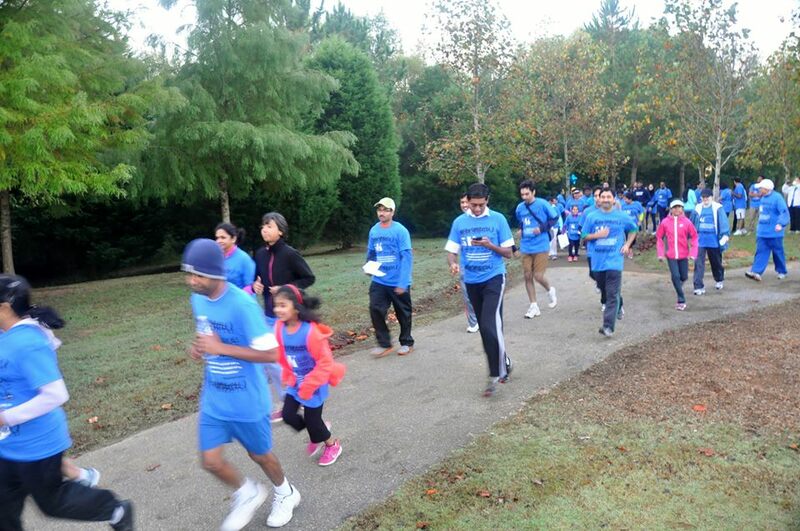 Only through organizing Run for SEWA could we gain so many valuable skills. We learn to communicate with each other; every member had to be informed about our decisions from ticket pricing to sponsorships to state décor. We held conference calls and in-person meetings frequently. But it was not just speaking to our team, we needed to go out and talk to businesses and CEO’s for sponsoring our event. We learned time management; with several AP courses, standardized testing, a part-time job, and other clubs, planning this event was frustrating at times. This frustration, however, made us more efficient and organized. The most prized skill we gained was teamwork. Leaders are part of the team. We made sure to help out with every task with each and learned to delegate because every effort must be a collective effort. The planning took about seven months. Every step of the way, we had support from my friends, family, and the SEWA team. We had together signed up around 200 people for the run and raised $7,000 before expenses. We were delighted to see so many dedicated volunteers show up at 5:30 am on event day to help set up. It was a clear, sunny day: the perfect weather for a run. The event ran smoothly and every volunteer and guest enjoyed it. We had various breakfast items, a yoga/stretch session, a DJ, music, speeches, diya painting, sponsor booths, and of course the 5k run. We have also invited the Sacred Cows Sanctuary owners. It was so heart-warming to see the joy on their faces. This amazing organization has saved and protected many cows from slaughter, and we were truly honored to help them. Reflecting back on the event, we feel so grateful to have been blessed with this opportunity. The skills we have learned are so priceless. The people we worked with are so sincere and have become my true friends with each other. Our efforts have helped save the lives of innocent cows. 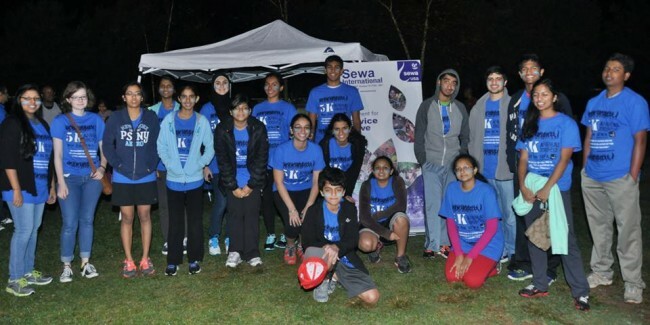 The most remarkable aspect of Run for SEWA, however, was that the whole event was put together by students. We hope our success instills faith in the future generations and inspires similar selfless projects. The core student team members included Shivika Bhayana, Devneet Singh, Fatima Webhe, Vidushi Gupta, Madhav Ghatpande, Pragya Bhayana, Avanti Joshi, Janani Rammohan.